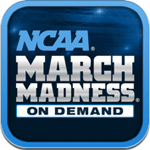 To be in spirit with the big thing in sports this week I figured I would download the free NCAA March Madness On Demand app from Turner Sports. I am not a big college sports guy, so I am probably not the best person to review this app. Feel free to throw in your two cents in the comments and help me out if you find something I do not. There is not a team I follow religiously because the region I live in has very few choices of larger teams to follow. 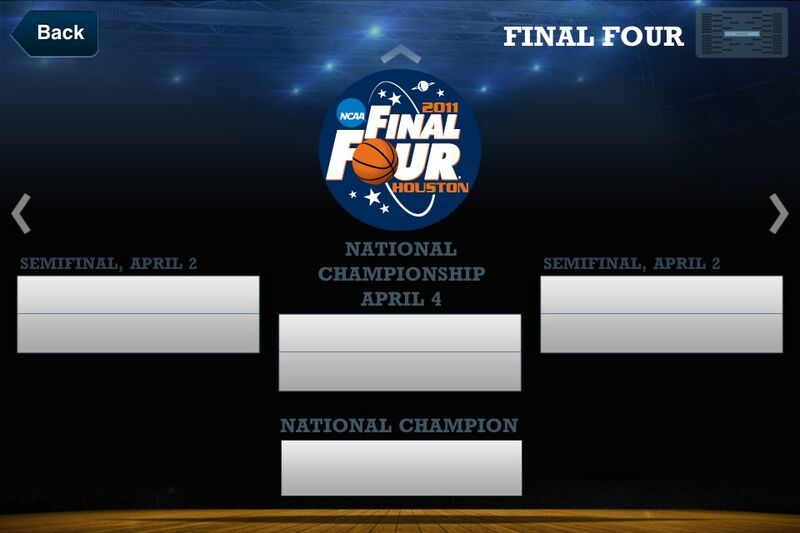 Mizzou, KU, K-State are the area teams that make the tourney in basketball. 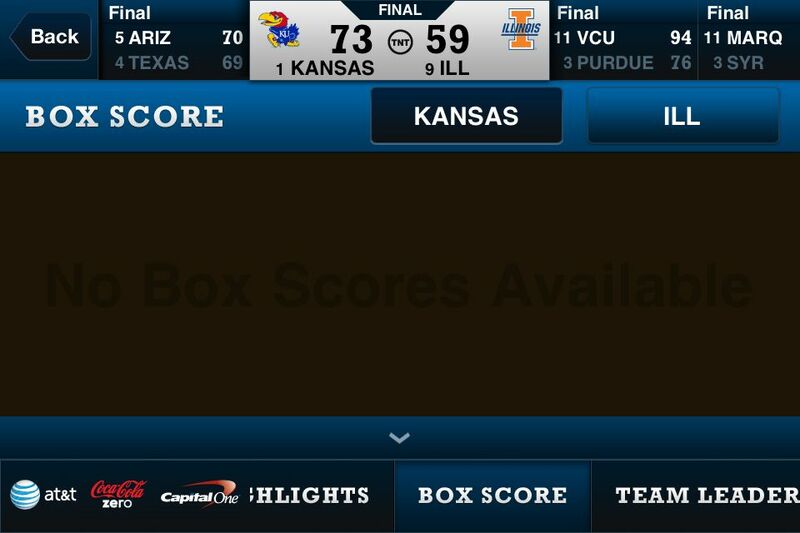 I love Lawrence from visiting for concerts, so I pick KU as the team I want to win the tournament. The app is very well designed. 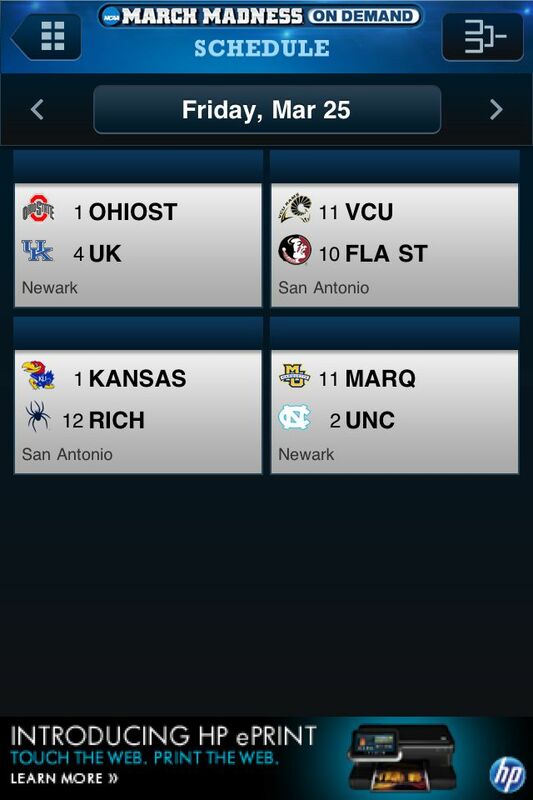 There are quite a few things to this app, such as a space for your own bracket, a well laid out tournament bracket, some social options and a scores and schedule screen. Really everything that you need to follow the tournament. This app was useful to use if you were like me and stuck at work during the early games on Friday, or if when I was out and about Saturday and Sunday, I was able to check final scores, box scores, etc. If you have a good connection to the internet you can get video or audio of the games on your phone also. Pretty nifty. I would suggest people pick this app up to keep track of their teams that are involved in the tournament, or those of you who do not have a vested interest and just want to follow the tournament for the heck of it. I like apps that put a lot of information into a small and easily accessible format. This app does that with all of the tournament information, easy to read, lots of info, nice, great companion to what some call the best time in sports of the year. I will end it chanting on the team I’ve picked to win it all, Rock Chalk, Jayhawk, Go KU!